Irish Gifts There are 70 products. 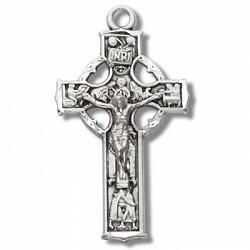 Sterling Silver Tiny Celtic Cross 16" Chain Boxed Traditional Medals of devotion in fine Sterling Silver. Sterling Silver Small Celtic Cross 18" Chain Boxed Traditional Crosses of devotion in fine Sterling Silver. Sterling Silver Medium Celtic Cross 18" Chain Boxed Traditional Crosses of devotion in fine Sterling Silver. Sterling Silver Small Plain Celtic Cross 18" Chain Boxed Traditional Crosses of devotion in fine Sterling Silver. 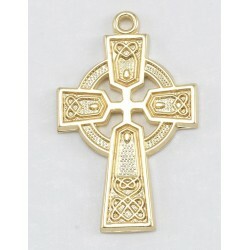 Gold Over Sterling Silver Medium Celtic Cross w/18" Chain - Boxed. Traditional Crosses of devotion in fine Sterling Silver. 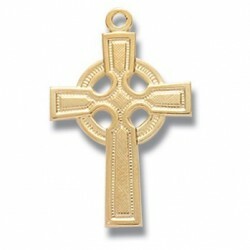 Gold Over Sterling Silver Small Plain Celtic Cross w/18" Chain - Boxed Traditional Crosses of devotion in fine Sterling Silver. 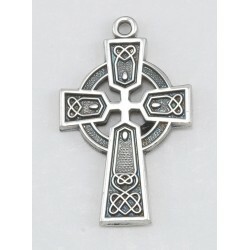 Sterling Silver Small Celtic Cross with 18 inch Chain - Boxed. Traditional Crosses of devotion in fine Sterling Silver. 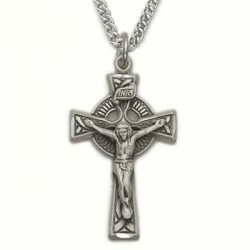 Sterling Silver Small Celtic Crucifix 18" Chain Boxed Traditional Crosses of devotion in fine Sterling Silver. Gold Over Sterling Silver Celtic Knot Cross w/18" Chain - Boxed. Traditional Crosses of devotion in fine Sterling Silver. 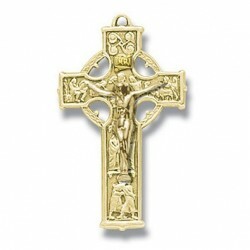 Gold Over Sterling Silver Small Celtic Crucifix w/18" Chain - Boxed Traditional Crosses of devotion in fine Sterling Silver. 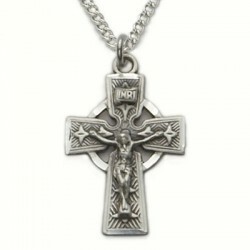 Sterling Silver Large Celtic Cross 18" Chain Boxed Traditional Crosses of devotion in fine Sterling Silver. 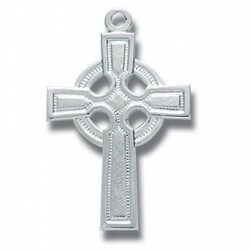 Sterling Large Celtic Cross 18\" Chain Boxed Traditional Crosses of devotion in fine Sterling Silver.